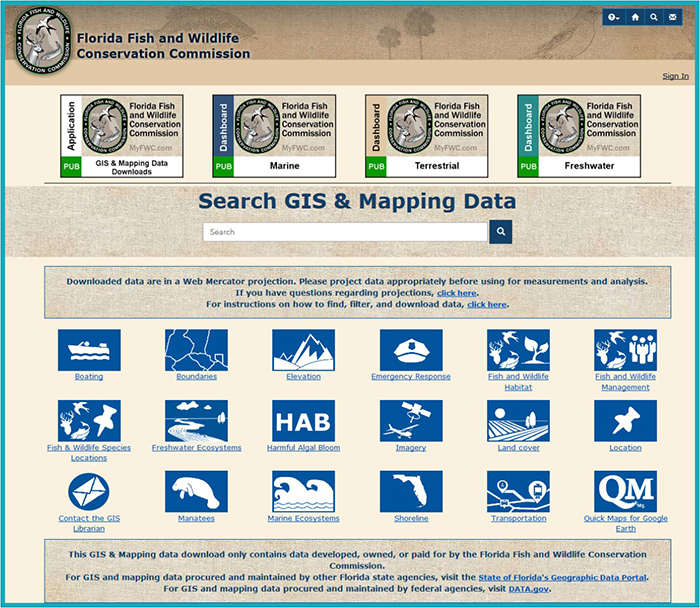 FWC’s “GIS & Mapping Data Download” website provides a tool for the public to access, view, filter and download FWC’s data. This data portal provides consultants, students, and other individuals access to the most up-to-date authoritative data, including fishing piers, marinas, Wildlife Management Area boundaries and entrances, among other datasets of interest to FWC’s stakeholders. Data downloads are available in a variety of file formats, including Google Earth, GIS shapefiles and live feeds, to satisfy differing preferences and experience levels.